“Digital factory” is the preamble of a comprehensive network, which contains digital models, methods and tools. 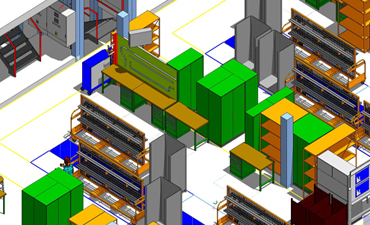 For instance, simulation and 3D Visualization, which are integrated through a consistent data management system. The aim of “Digital Factory” is the integrated planning, evaluation and continuous improvement of all essential structures, processes and resources of the real factory in conjunction with the product.